Offering you a complete choice of products which include evolis primacy dual side id card printer. 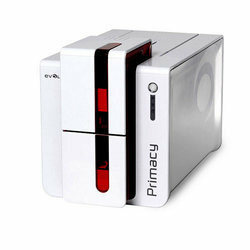 Looking for Primacy ID Card Printer ? HP 250 G5 Laptop Ci3 4gb 500gb 15.6"
HP DesignJet T120 Plotter A1/24"
HP DesignJet T520 Plotter A0/36"